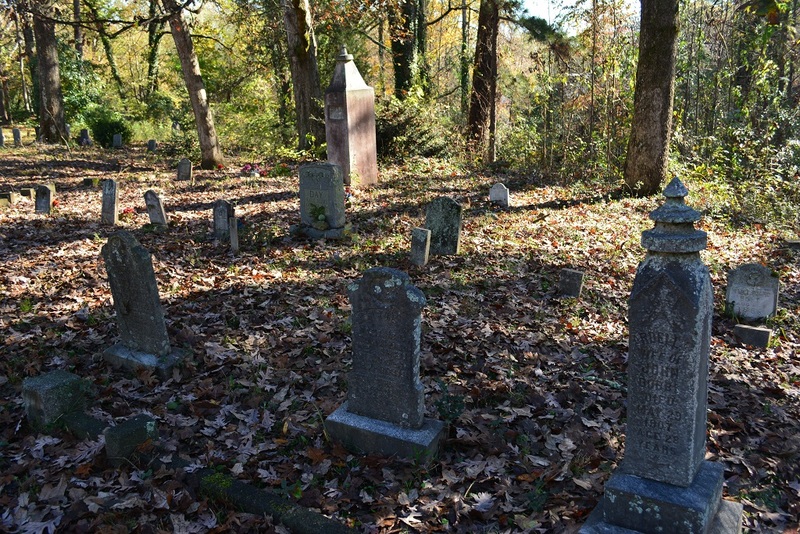 New Hope Cemetery is an important local example of a rural African-American cemetery. It is listed on the National Register of Historic Places with New Hope African Methodist Episcopal Church, which has served the black Buckhead community as an educational, social, and religious center since the late nineteenth century. Now surrounded by a mostly white, affluent residential area, the church is located at 3012 Arden Road. The 1.86-acre cemetery is located across the street from the church and contains hundreds of graves. The first documented burial, based on church history and oral tradition, was in 1889. Find A Grave documents 46 interments. There are also many unmarked graves at the site. James H. “Whispering” Smith is buried at nearby Harmony Grove Cemetery. The New Hope community believes that “Mr. Smith was inspired by God to conceive and execute such a kind and magnanimous act” such a short time before he died. During the 111th anniversary celebrations for the church in the spring of 1980, the congregation departed New Hope after Sunday morning service and led a procession several blocks to Harmony Grove Cemetery. There, they held a service of thanksgiving and placed a wreath on Mr. Smith’s grave. 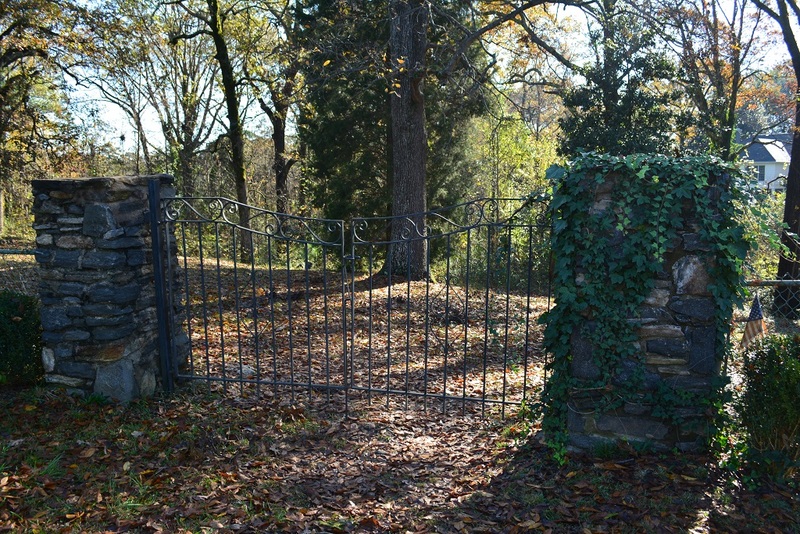 The entrance to New Hope Cemetery has an ornamental wrought-iron gate and two stone pillars, placed in memory of deceased church member Oscar Turner. Turner was a Sergeant in the U.S. Army and received the Bronze Star Medal. He died in 2001 and is buried in the cemetery. Government-issued military markers from World War II, the Korean War, and the Vietnam War are also present, and past research has indicated at least ten veterans are buried at New Hope. Others buried in the cemetery were members of the church or close family of members; family plots are sometimes demarcated by short concrete or brick retaining walls. Find A Grave indicates several family groupings, including Bailey, Hutchins, Nelms, Pace, and Smith. The layout of the cemetery is generally informal with minimal landscaping, including a variety of hardwood trees, flowers, and shrubs. More information about the historic church building can be found on the Buckhead Heritage Historic Buildings page here. Few, Elizabeth. “The History of New Hope A.M.E. Church (1869-1987).” Second writing, 1987. National Register of Historic Places Nomination Registration Form for New Hope African Methodist Episcopal Church and Cemetery. New Hope AME Church website. Sibley, Celestine. “In Northside, Black Church 111 Years Old.” Atlanta Constitution. May 28, 1980.